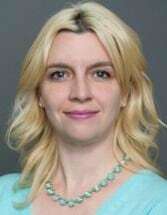 Michelle Holman, is a senior associate of the firm, has been with Jaroslawicz and Jaros for eight (8) years. She is a 2007 graduate of Benjamin N. Cardozo School of Law and is admitted to practice in New York State and the Southern and Eastern Districts of New York. Prior to attending law school Ms. Holman worked in the financial services industry and held several securities licenses, including Registered Representative (Series 7) and Registered Principal (Series 24). While at Cardozo she worked on the Securities Arbitration Clinic representing individual investors in actions against broker-dealers, as well as doing financial enforcement work at the NASD (now FINRA) and the Bureau of Securities of the New Jersey Attorney General's Office. Presently Ms. Holman's practice includes a wide variety of cases, including premises liability, property damage and personal injury actions.